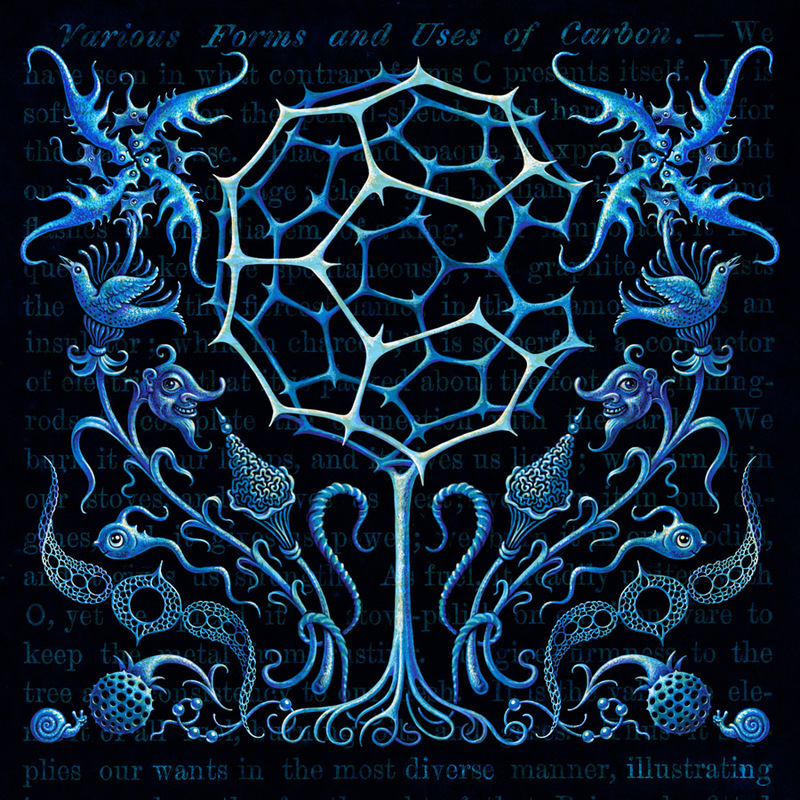 These particular lifeforms were of course heavily influenced by the work of Ernst Haeckel, with the central structure inspired by an allotrope of carbon popularly known as the Buckyball. Look at the land…blue flowers! Drawing by the purple pond, in the purple pastures blue flowers! Drawing by the purple pond, yellow ink that flows blue flowers! So, consider this the visual equivalent of a mashup. It’s just a pity that Buckyballs are constructed from hexagons & pentagons, with nary an octagon in the picture. This entry was posted in Illustration and tagged AlphaBands, Botany, Carbon Base Lifeforms, Digital, Dr. Octagon, Lifeforms, Music, Photoshop on 9February 2014 by Leah.